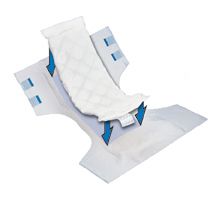 A soft, flow-through pad designed to fill to capacity and then pass additional fluid into the primary garment. Easy to change and dispose. 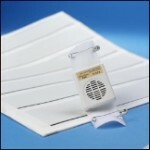 Economically extends the use of any primary garment. Latex-free. Adhesive strip has been added. Got these as a trial with another booster. These work well and ordered another 50 of them. I use a pull on diaper and add these to help. I can no longer control when I go and these help a lot. worth the money.